It’s Sunday and therefore time to let our minds wander a bit, away from the daily lunacy of proclaiming a recovery and engineering a government shutdown in the midst of the Second Great Depression. . . So, my question for the day: can we imagine a time in the future when we debate the historical question of the profitability of wage-slavery? Intuitively, a business that uses wage-slaves should be profitable. You pay your workers a bare minimum, and reap the benefits of their labor. And some economic historians try to show just how lucrative it was. We might then consider, in the future, how individual businesses benefited from wage-slavery—employing wage-slaves and buying the goods and services produced by wage-slaves, not to mention financing the enterprises that are based on wage-slavery—but overall economic development was hindered and distorted by the use of wage-slavery. 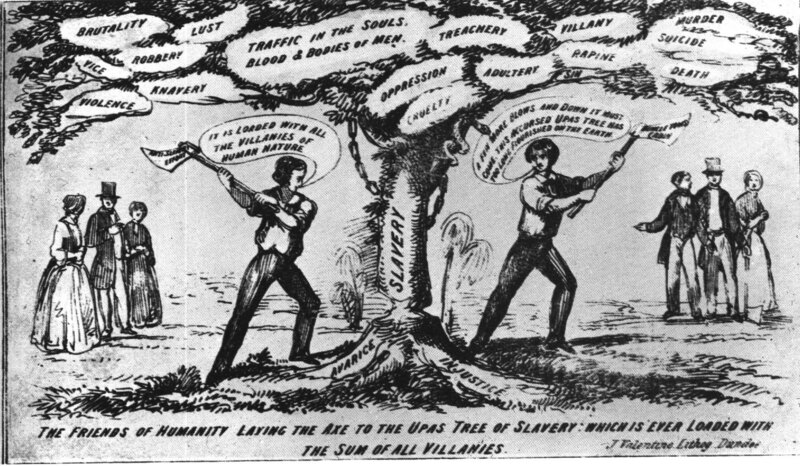 It would be a debate not dissimilar to the one we’ve been having for two hundred years about the older form of slavery, which has demonstrated why the institution of slavery lasted for as long as it did, until finally its injustice and irrationality were recognized and the institution itself was eliminated. Of course any account of the economic effect of wage-slavery should note the effect of treating human beings as capital equipment. The direct impact on the utility of the wage-slaves themselves of this condition represented a terrible economic cost. And there was also an opportunity cost to the broader economy, which lost out on the potential human capital and entrepreneurial contributions wage-slaves might have made as freely associated workers. Abolition of involuntary wage-servitude to say nothing of wage-slavery, was clearly a moral imperative. We can also feel pretty safe concluding that, whatever the benefit of the system to wage-slave-employers, its abolition made as much economic sense as anything can.